• Feel as though you aren’t receiving the support you require? • Seemingly too far down the pecking order to gain recognition? • Lacking opportunities and resources? • Missing out on personal high level coaching? • The unique combination of a performance based club environment with high level staff in Coaching, Sports Science, Personal Development and Sports Performance Awareness along with experts in support services such as physiotherapy, osteopathy, massage etc. Importantly at What Chance U Triathlon, it’s about you the individual. It’s new, it’s real and it offers you that unique chance. If you would like to find out more please contact Stuart Wilkinson at stuxtc@live.co.uk or on 07590 851259. A diversity of results for TeamBW athletes. Once again a wide range of results over the weekend from various Team BW athletes at various competitions. You can find some further info on the Facebook page. Matt and Johanna Dowle at the Half Ironman event at the Sussex Triathlon with both making the podium in 3rd and 2nd respectively. At the same event over the Olympic distance Oliver Crossley won the event a week after his World Championships trip to Rotterdam. Meanwhile at Hever Castle Harrison Rolls King finished 8th over the Olympic Distance event. Yvette Grice completed her 33rd Ironman in Madrid over the weekend finishing in 6th and gaining her first ever drafting penalty ! We haven’t heard as of yet what or who she was supposedly drafting off ? Eloise Key turned out 3 PBS and 3 County Qualifying times at the Littlehampton Open Meet from 4 events. Congratulations to everyone who flew the Team BW flag this weekend. 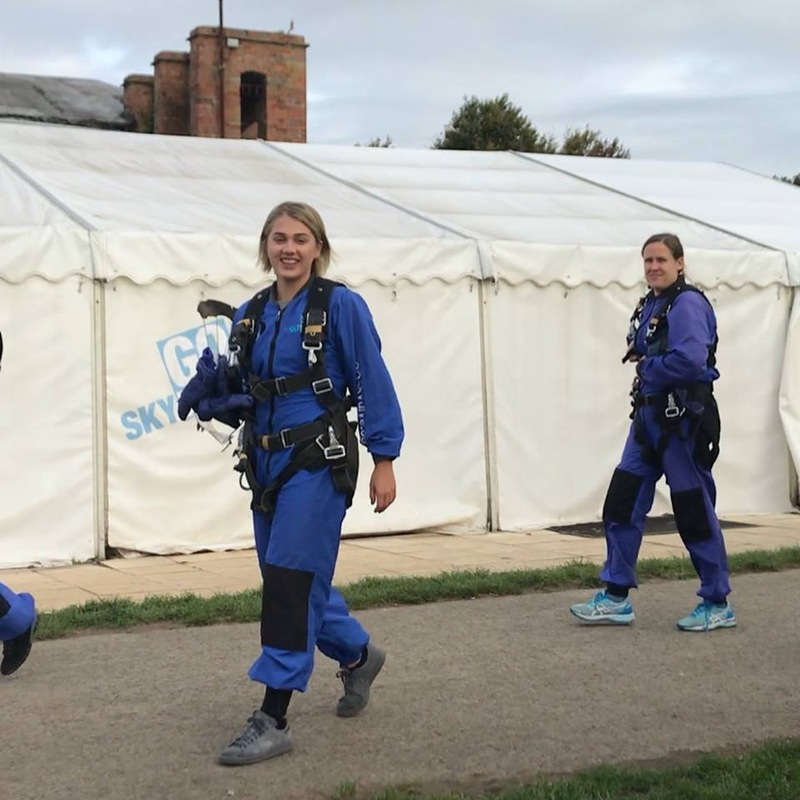 Congratulations to Team BW coach Izzy on her Skydive for Charity from 15000 ft. Third time lucky on the trip to Salisbury plain for the jump. Apparently it was brilliant and everyone should do one !!! Below are some of the various activities team BW age group athletes have been taking part in. This is a snapshot from one weekend of competitions ! These include experienced athletes along with complete beginners who have set out with a challenge at numerous events. In some cases those athletes couldn’t even swim 12 months ago ! Hopefully this may inspire yourself to come along and realise that the experience and professionalism we offer within our sessions is open to everyone with ambition. Whether this is to swim 400m or compete in an Ironman. It could be to gain open water confidence to learning to ride a bike properly. So have a read below and don’t be shy if you feel motivated then pick up the phone or drop us an email and someone will be happy to field your enquiry. Results from the 40/44 Sussex Masters Short course swim champs. Paul Standen Payne Silver(s)100m free 1.04 & 50m free 29.32. 100m fly 1.18. Gold 400m free 5.27. 4th 50m fly 38.88. Results from the World Triathlon Age Group Championships in Rotterdam 25/29 Oliver Crossley 15th. Results from the Brighton & Hove Triathlon at the weekend saw a couple of father & son combinations in action……. Well done Gents possibly we will have some mother & daughter combinations in the near future ? More age group success from the weekend with new members taking the plunge in the Weymouth 70.3. Robert Light 5hr 56min, Matthew Pysden 6hr 15min & Nick King 6hr 50min. All were competing in their first half ironman distance triathlon and are newly turned triathletes having come from a rugby background. Well done to them on a fantastic achievement! Hopefully results like this will spur others on to come along and be involved with some training and set some personal challenges. The Vitruvian 70.3 at Rutland Water on 9th Sept saw more TeamBW age group athlete success with Jo Smith completing the event after setting herself the challenge only weeks before. She managed a very creditable 6hr 42 and enjoyed the experience so much that rather than it being a one off she now has further challenges up her sleeve ! Stuart Mills (50/54) also competed finishing in a very strong 4hr 31. Once again it’s great to see some of our adult athletes benefiting from the coaching and the professional support available through the sessions and advice. The British Championships for Junior Youth and Tristar took place on Bank Holiday Monday at Mallory Park with the U20s Festival. The event incorporating the IRC ( Inter Regional ) Championships. 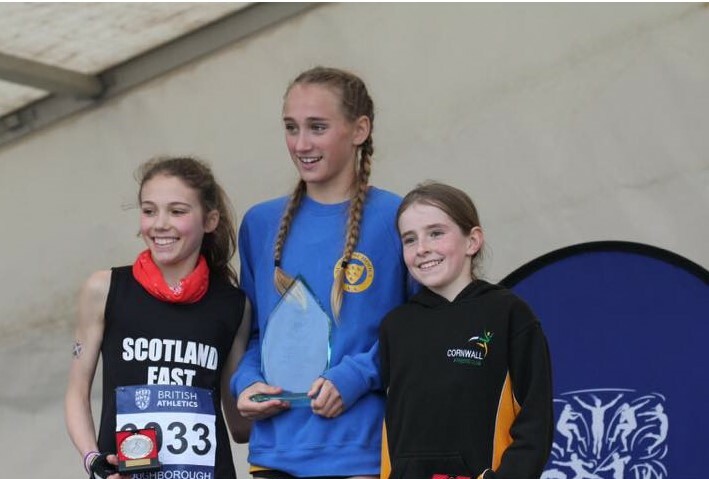 Bethany,Daisy and Ed were also part of the South East Regional Team that finishes 6th in the IRC Championships. Well done everyone hopefully a great experience for all of you competing at the highest level in the U.K. Hopefully it excites you to want to come away make improvements and have the opportunity to go back to the Championships older, stronger and wiser ! 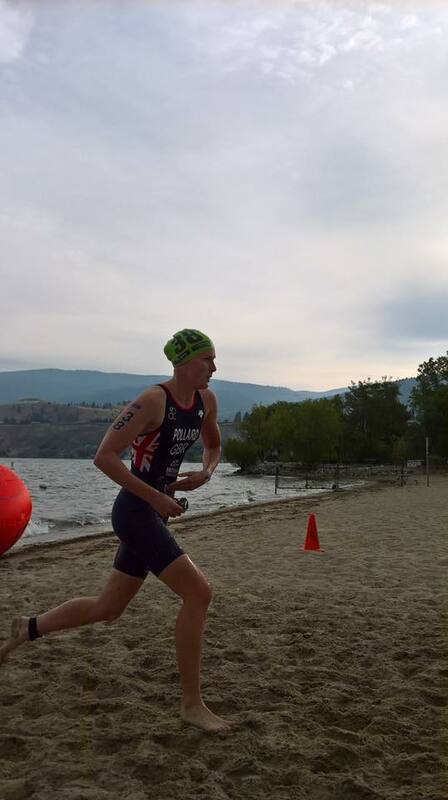 Congratulations to Chloe Pollard on her Gold medal at the World U23 Aquathon Championships in Penticton, BC, Canada.